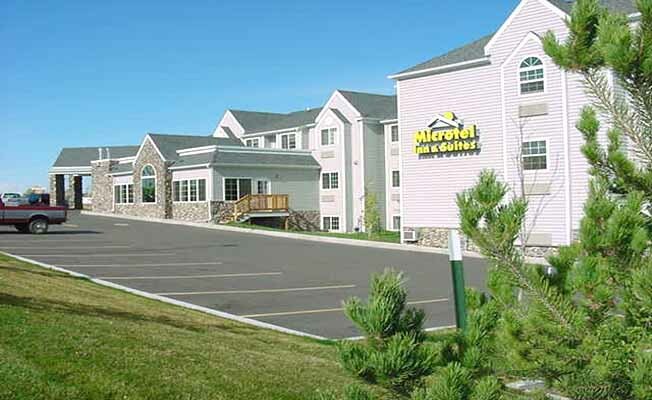 Microtel Inn & Suites offers 61 rooms featuring 10 suites. All new construction, clean, comfortable rooms with interior hallways and electronic car-key entry for added safety. Chiropractic approved mattresses. Attractive lobby with 24-hour front desk service and single after hours entrance. Landscaped exterior and well lit parking area. ADA compliant accessible rooms for those with disabilities. Complimentary Continental Breakfast provided. Remote Cable TV with ESPN, CNN and HBO. Children under 16 stay free in parents room. Complimentary cribs. Built-in desk top workspace in every guest room. Dataport telephones with extra long cords. Window seat for relaxing. 24-hour vending area. Spacious conference and meetings rooms. AAA, Senior and Corporate rates. Beautiful indoor pool and hot tub with rock walls and water feature. Free high speed Internet and free long distance calls. J.D. Powers and Association says we're the Highest in Guest Satisfaction six years in a row. Winner of Top Quality Award, three years running, from USFS.